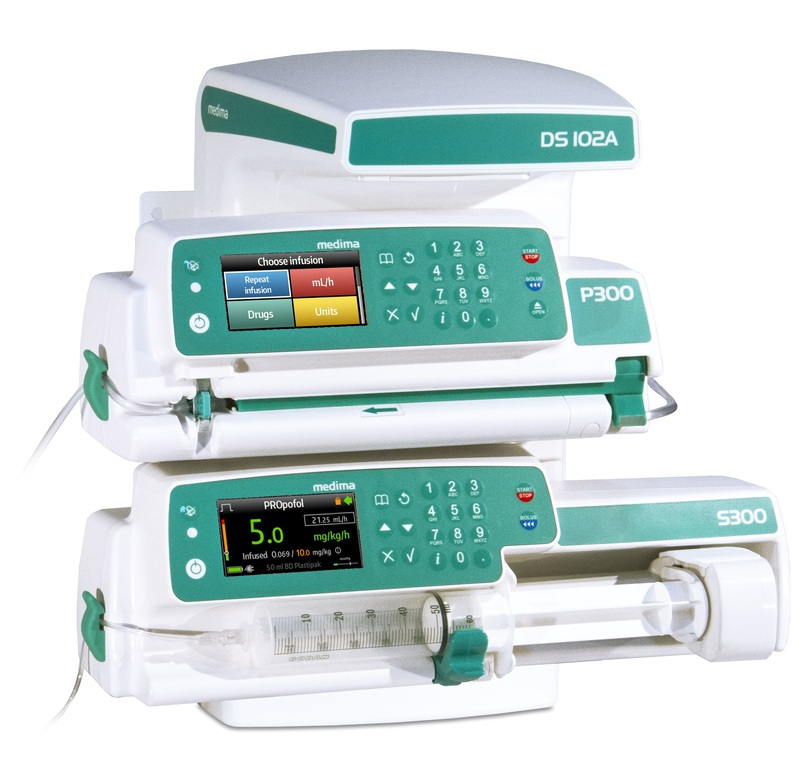 Intensive medical care requires more and more often a large number of infusion pumps. Locating them in the direct environment of the patient becomes a problem, due to limited space or a number of power supply cables. Docking stations seem to be an excellent solution in such cases, as they enable fast installation of pumps by the patient's bed and allow to develop the infusion environment suitable for the current therapy. Power supply and communication ports are connected automatically when the pump is docked. Medima pumps can be installed in or out the docking stations, without using or dismantling any additional elements. 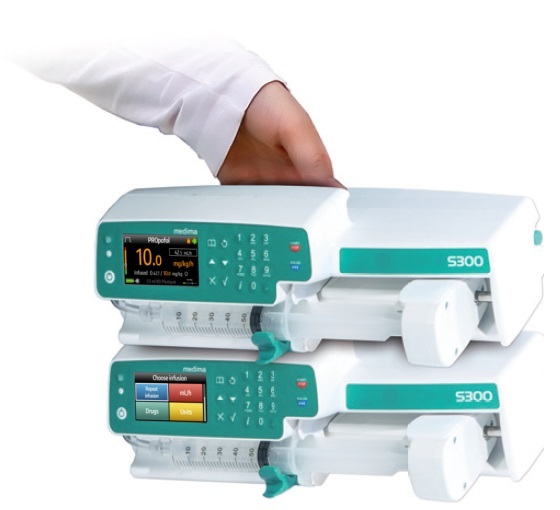 Pumps with docking stations automatically connect with MedimaNet server allowing to monitor infusions and to store historic infusion data. 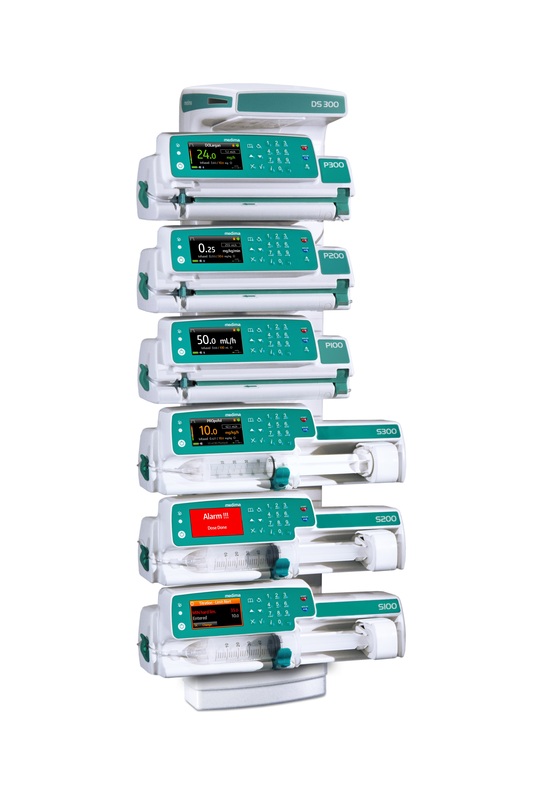 Due to growing requirements for ambulance equipment, syringe infusion pumps become its standard part. Their safe and quick fixation is essential. Medima offers a docking station specially designed for this purpose. It is enough just to put a pump into the docking station and to make it safely fixed. Power supply is connected automatically. There is no need for time-consuming screwing. Although Medima pumps can be fixed in a standard way to vertical IV poles, docking stations assure safer and more comfortable way of fixation in ambulances. Pumps and docking stations fulfill the requirements of EN 1789 standard. It is worth adding that Medima syringe pumps can operate without connection to the mains even for 30 hours (see the technical data) which allows safe pump operation during patient's transportation. Quick battery recharge lasting less than 5 hours always enables to keep the battery fully charged. Moreover Medima pumps are equipped with a unique battery condition test that significantly increases safety of their operation. It is risky to attach a large number of pumps to a standard stand as it doesn't guarantee the required stability of the set. Due to reliable structure Medima stand enables installation of multiple mobile infusion systems. 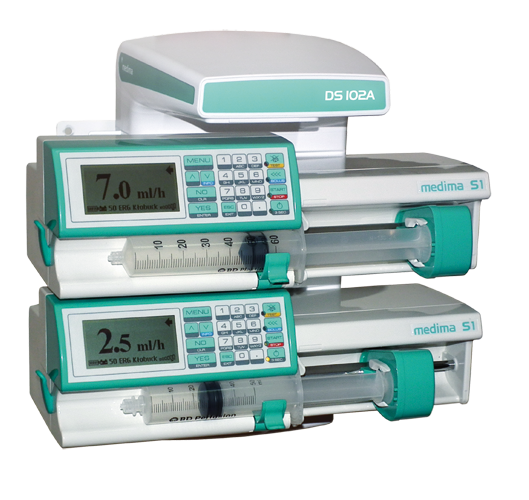 Medima offers medical stand for infusion pumps with hanger for bottles and bags with infusion fluids. Offered stands have stable wheel base with high quality wheels and breakers. Height can be easily adjusted to fulfill user needs. Medima offers a unique solution, allowing fast connection and easy transport of two pumps combined in one set. Two single syringe pumps can be combined into two-syringe pump sets, powered by single electrical cable and mounted to the stand with one holder.